A modern airbed is more than just the uncomfortable air bladder that you remember blowing up for houseguests. Modern beds like the Sleep Number, Selectaire and Air Dream have revolutionzed the airbed as a complete hybrid mattress system. 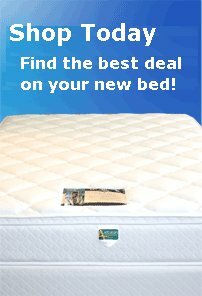 By combining an air chamber along with layers of padding, quilting, memory foam and or latex, the modern airbed is a minutely adjustable sleep surface that you can fine tune to get the perfect bed feel every time.